08 | April | 2014 | Watts Up With That? April 8, 2014 in AMO. 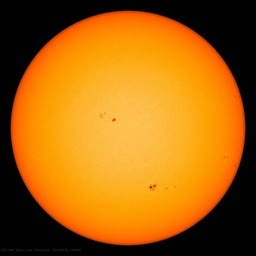 The solar data from the NOAA Space Weather prediction center has been posted, and like the global temperature, there isn’t much change. Sunspot numbers are down slightly, but still up from most of 2012/2013. The double peak looks more prominent. Solar radio flux shows a similar double peak pattern. April 8, 2014 in Solar, Spaceweather. April 8, 2014 in Announcements. April 8, 2014 in Bad science, Climate News, Fun_stuff, Opinion. April 8, 2014 in El Nino Basics, ENSO. April 8, 2014 in Methane.